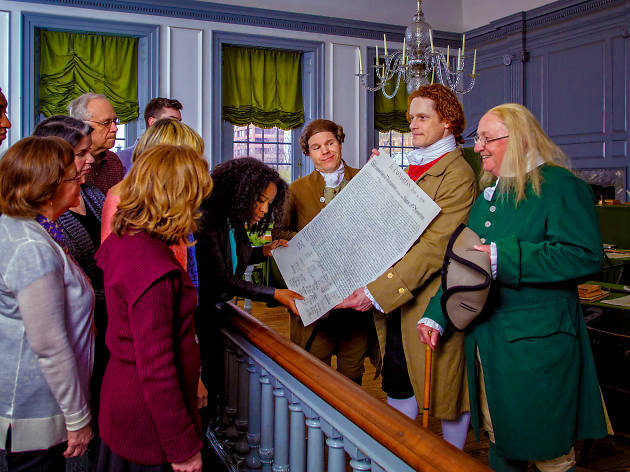 Mingle with founding fathers at an after-hours soiree! On select nights throughout the year, Historic Philadelphia hosts this walking tour of Old City sites after the lights go down. The tour begins at the Museum of the American Revolution before heading to City Tavern, where you eat a three-course meal served to you by folks dressed in Colonial garb. Then you’re whisked away on the walking tour that comprises eight city blocks within Independence National Historical Park. 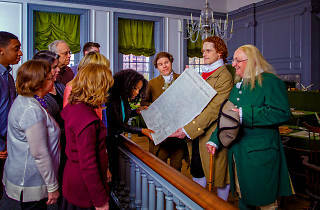 The apex of the evening is a stop at Independence Hall where you’ll find Benjamin Franklin, Thomas Jefferson and others in a heated debate about the Declaration of Independence. It’s a surreal step-back-in-time experience that’s uniquely Philly.